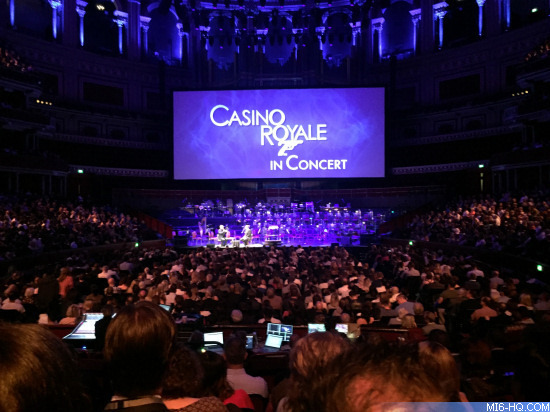 On Saturday 30th September, the Royal Albert Hall presented a screening of the first Daniel Craig Bond adventure 'Casino Royale', with a live performed by the London Philharmonic Orchestra. 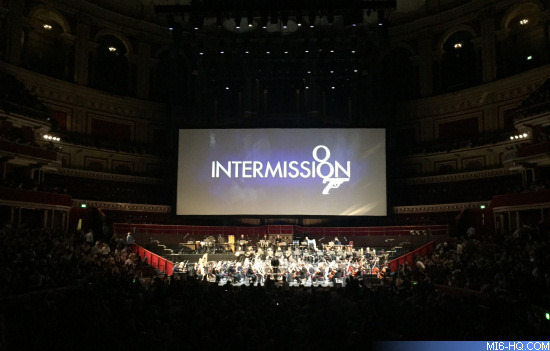 This is not the first film to have enjoyed this treatment, but there is something about a Bond score that lends itself to being performed live. Indeed, the Royale Albert Hall was filled to capacity with an expectant crowd dressed in their finest evening wear. It could easily have been a scene from a Bond film. Introducing the performance were the perennial Bond compare David Walliams and the composer, David Arnold, who discussed the process of scoring the film. Arnold paid tribute to Chris Cornell, who sadly passed away earlier in the year, whose powerful vocal performance on 'You Know My Name' set the tone for Craig’s more back-to-basics, powerhouse interpretation of 007. It seems almost incredible that it has been almost eleven years since Daniel Craig made his defining debut as James Bond in 2006’s 'Casino Royale'. The film was a reaction to the changing face of spy films of the time, breaking away from the cartoonish pomp of 'Die Another Day' and on to the darker, grittier “realism” of Jason Bourne. 'Casino Royale' set out to redefine the character of Bond, in much the same way that 'Batman Begins' had with Batman. But when redefining a character, there are some aspects that need to remain front-and-centre, to reassure the audience that this is still very much the hero we have known and loved. One of the ways 'Casino Royale' accomplished this was the score. David Arnold’s score for 'Casino Royale' was infused with the brassy bombast of Barry, providing the familiar and expected Bond elements, but also introducing subtler, paired back pieces, such as Vesper’s theme that give the score surprising emotional depth. What was notable about the performance of the score with the film was just how much the music added to not only the action but also highlighted the characters. At points, the music completely immersed you in the film, at others, it was difficult not to watch the orchestra, so dynamic was their performance. With the final scene, Craig announces that he is “Bond, James Bond” and the end credits roll to the James Bond theme. Never has the theme felt so utterly rousing, so compelling, so exciting as it did with the London Philharmonic Orchestra performing it at the Royal Albert Hall, Arnold himself on stage to play the iconic guitar riff. The last discordant twang was met with a thunderous applause and a standing ovation from the crowd, and soon hands were sore from the clapping, arms aching from the sustained applause. 'Casino Royale' still feels fresh and it’s remarkable to see how well the film has stood the test of time and this is in no small part to David Arnold’s score, which has never sounded better than it did performed by the London Philharmonic at the Royal Albert Hall.